Paul speaks in Parliament about Domestic Violence. Over the last few weeks I was lucky enough to visit some of Frankston's most vital organisations that provide services for our most needy. 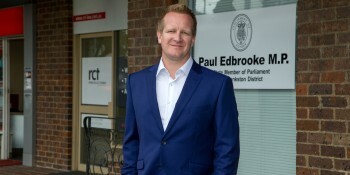 Paul addresses Parliament to call on the Minister for Police to visit Frankston and to be briefed on Frankston Station Precinct Redevelopment. Paul addresses Parliament to call on the Minister for Emergency Services to visit Frankston fire station. Paul addresses Parliament on the Mount Erin Secondary College presentation ball. 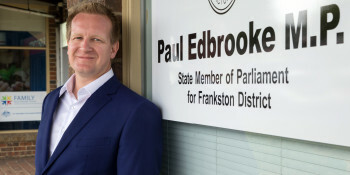 Paul addresses parliament to call on the Minister for Housing, Disability and Ageing to visit Frankston and discuss homelessness in the area. Paul addresses Parliament on the success of the Frankston Waterfront Festival. 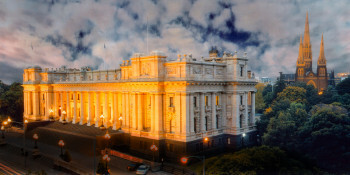 Paul gives his maiden speech in the Parliament of Victoria.